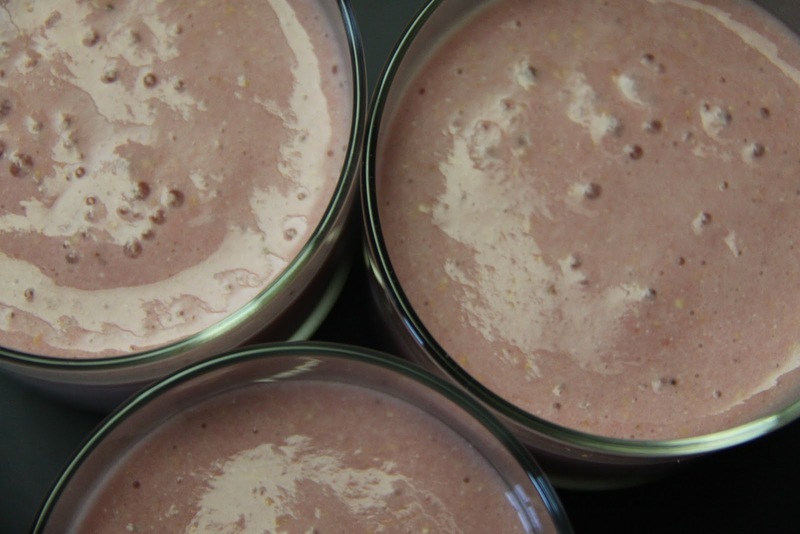 A Tip from a Raw Smoothie Dad: Decrease the Number of Steps to Making a Raw Smoothie! Recently, a Super Raw Smoothie Dad, Allen Kachurowski, shared a big tip with me: DECREASE THE NUMBER OF STEPS TO MAKING A RAW SMOOTHIE! What a time saver! I think I’m going to have to start portioning out my ingredients too! Thank you Allen. 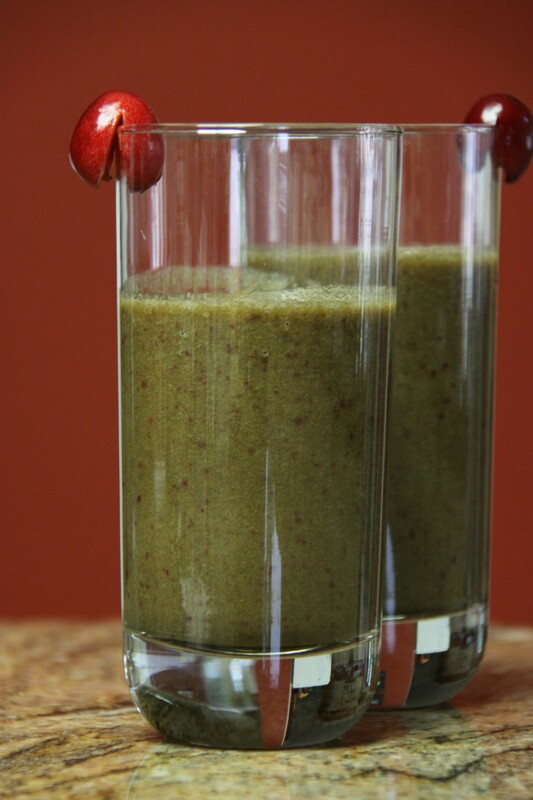 I think your tip will not only make it easier for Dads to make those Raw Smoothies, but busy Mamas too! 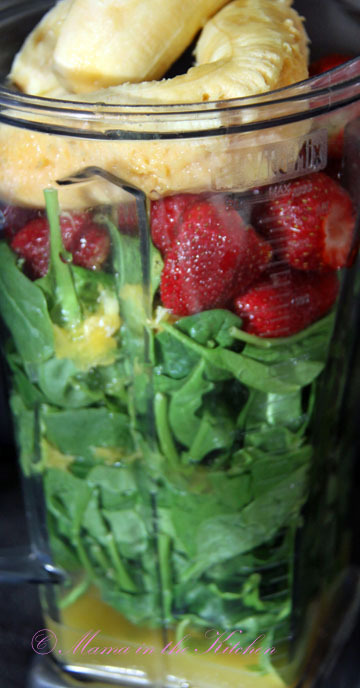 The Winnie-The-Pooh Bear Smoothie was our gold standard, but then I discovered I could add 50% more greens in what I like to call our “More Greens Please” Strawberry Smoothie. 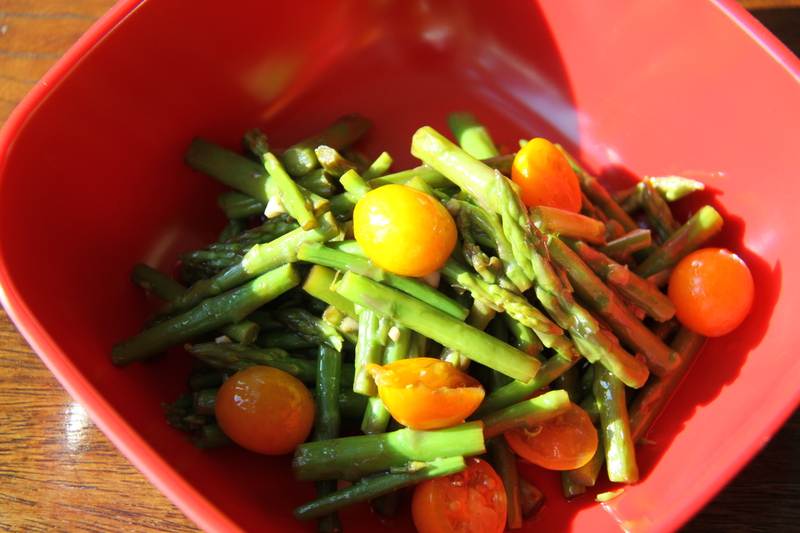 And it works even better with fresh summer cherries! Cherries seem to be the ‘in’ fruit these days. They are a wonderful fruit for cleansing the blood, detoxifying acids in the body and strengthening our heart and plasma. Just 1 cup of cherries contains 2% Vitamin A, 2 % calcium, 3% iron, 12% dietary fiber and 16% vitamin C. They also contain beta carotene, potassium, magnesium and melatonin. Dr. Oz has been promoting the amazing antioxidant filled tart cherry juice that helps ease arthritis and gout and reduces the risk for heart disease, diabetes and certain cancers. Whole Foods Market is now promoting their Summer Cherry Fest with a Kid-Friendly Cherry Recipe Contest. 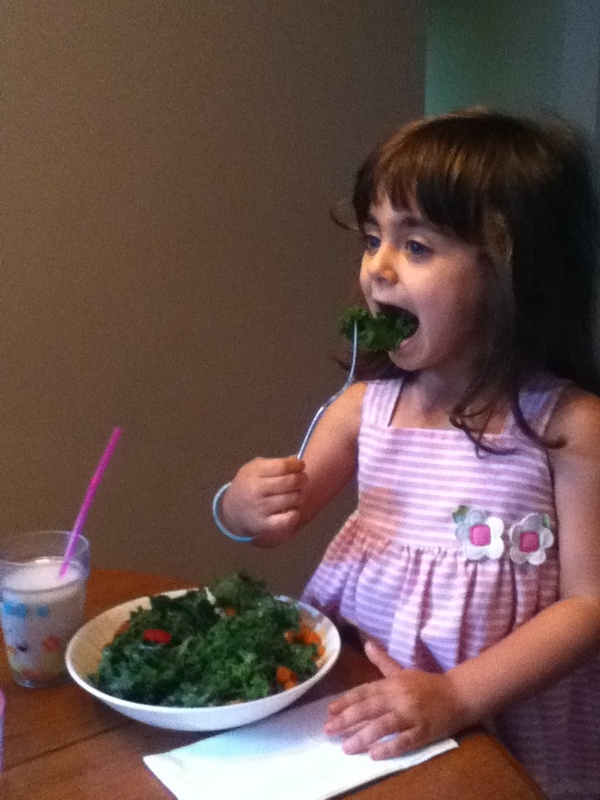 So I thought I’d send in my Raw Recipe that really gets kids to drink a bunch of greens too! But, first thing’s first: here is the quickest and simplest way to pit cherries… with a paperclip! Yummy for the Tummy ingredients! 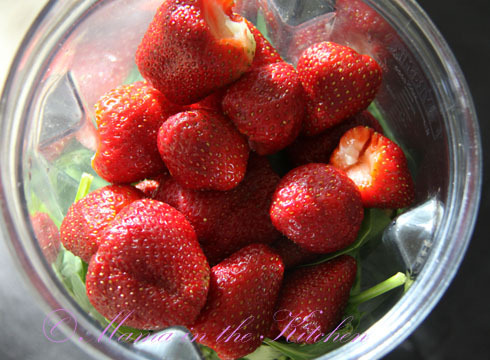 Want to WOW your 4th of July guests with a yummy Strawberry Smoothie full of undetectable Greens? Look no further! 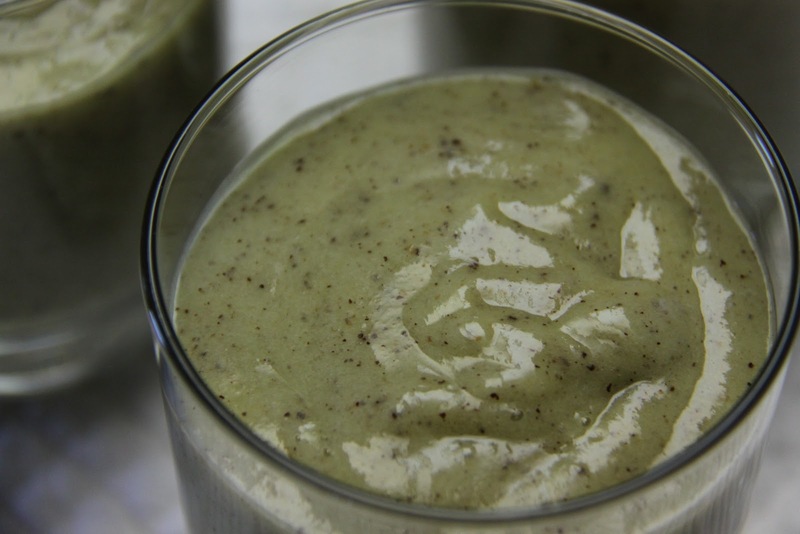 This recipe is a variation from our Basic Smoothie, but with 50% more greens! With Strawberries in season the past 2 months, we have enjoyed drinking this immensely. When A Green Salad Just Won’t Do! 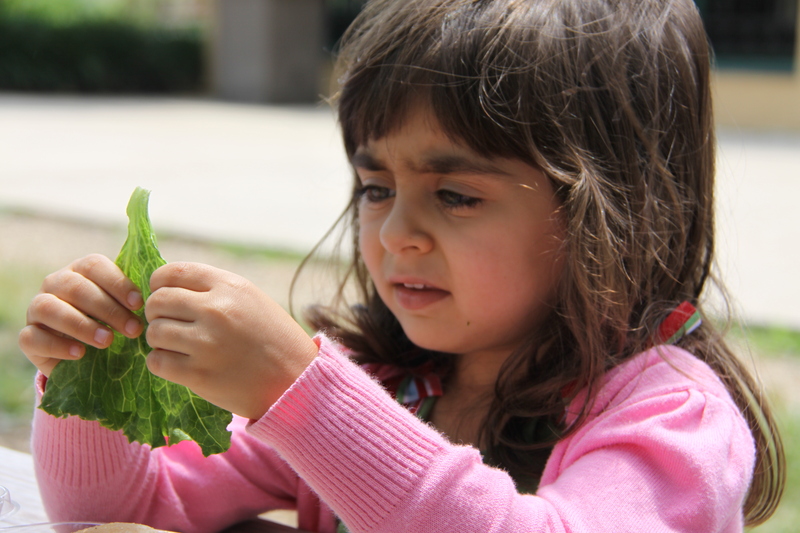 Top 6 Ways To Get Kids To Love Plant-Based Food Again! Look familiar? This is the "I don't think I can eat this!" look. 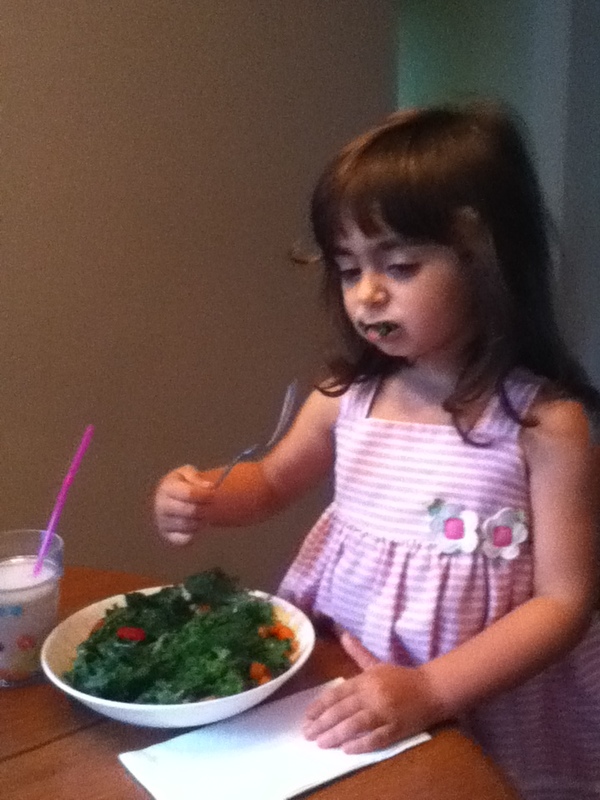 My fabulous niece Lia loves raw Kale Salad and Green Smoothies, but a piece of plain lettuce may be asking her for too much! How many kids have you seen do this exact same thing? Many! And there are even more who won’t even touch any kind of vegetable. 1. A variety of fresh fruit in the house, for breakfast, snacks and/or pre-dinner munchies. 2. 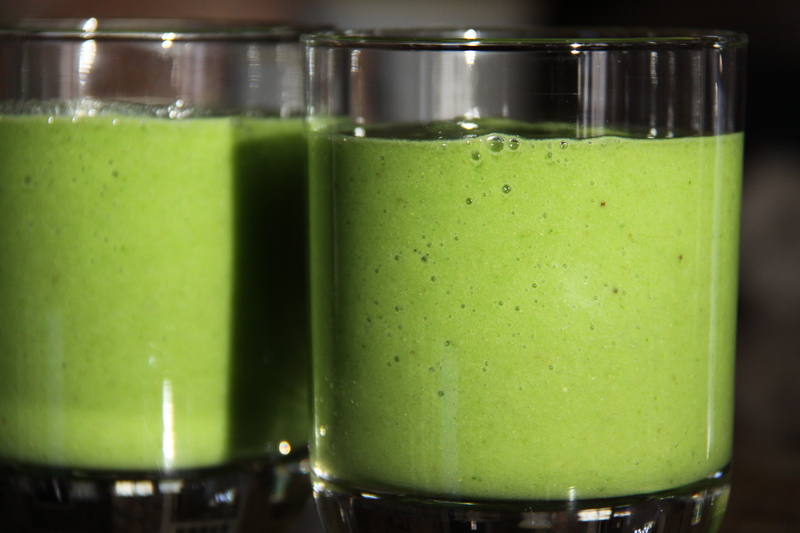 Lots of GREEN Smoothies in the house. 3. My niece Lia just discovered GREEN Smoothie Popsicles and loves them. We have loved them in the summer time too! 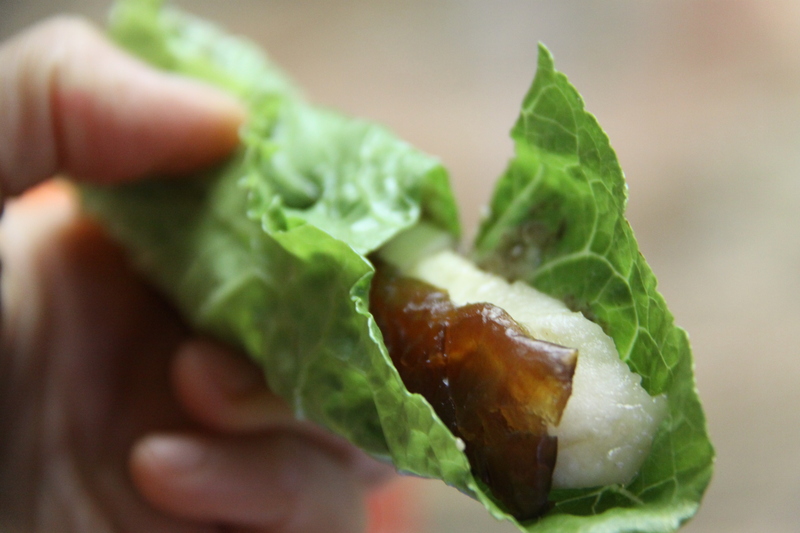 Simply place leftover Green Smoothie into your popsicle molds and voila! 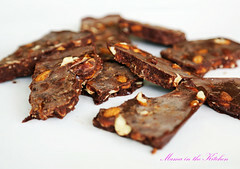 another treat with nutritional benefits! 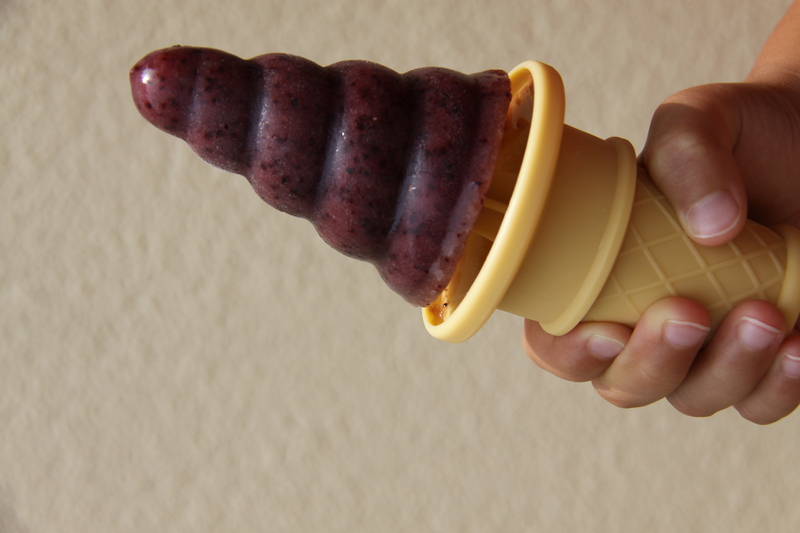 By the way, we love our BPA free popsicle molds! My son loves his popsicle from a Blueberry Green Smoothie! 3. 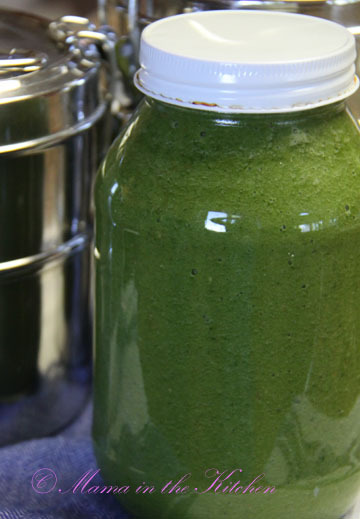 Get the JUICER out for GREEN Juices. If they won’t eat the salad, they can definitely drink them (as long as they are yummy!). For most kids, this means a mixture of fruit and vegetable juices. 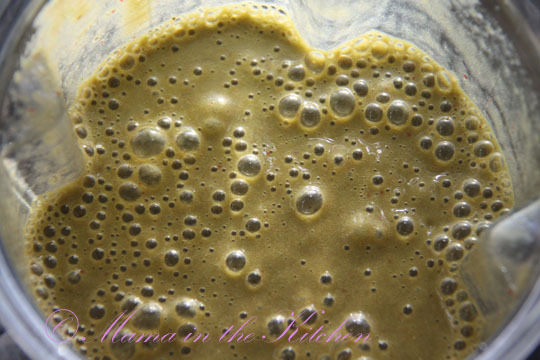 Although it is hard work, it is worth any Mama’s time: fresh green juices go directly into our cells and work their wonders. 4. 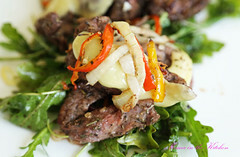 Mix raw and cooked together for Half & Half! Yes, definitely the easier way to get the family to eat more fresh raw veggies. 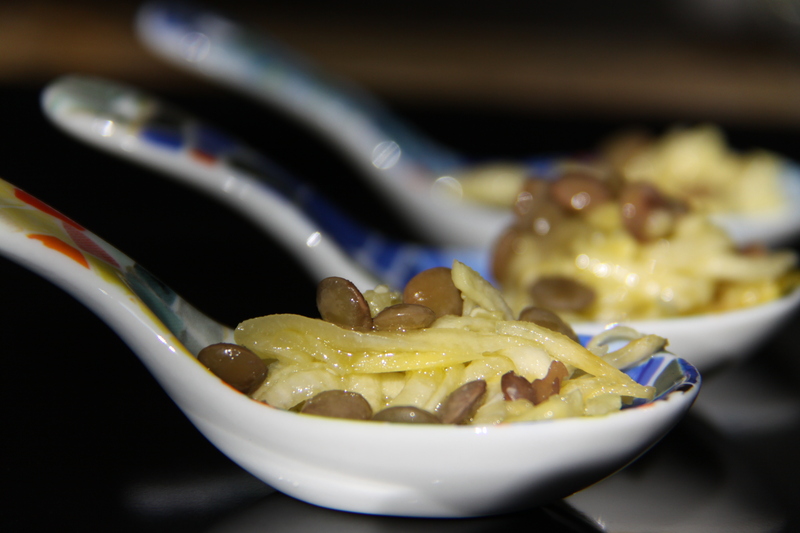 Zucchini Pasta topped with Cooked Lentils... you can always try! 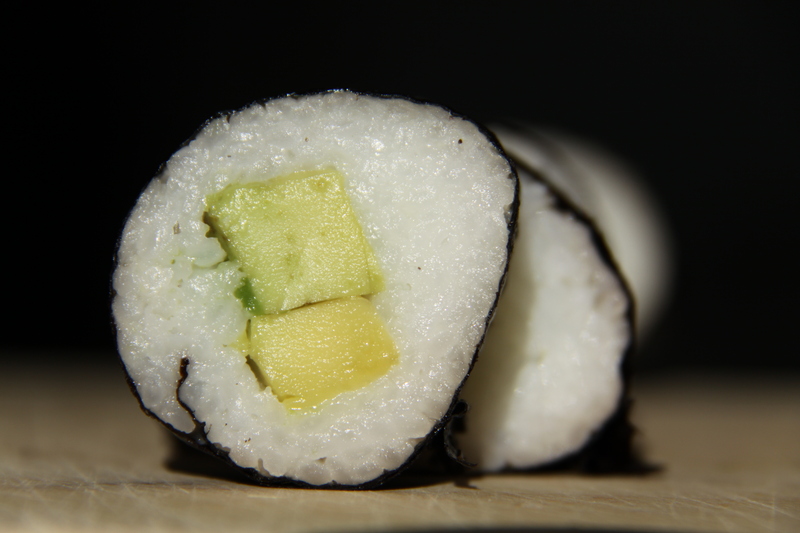 Vegetable Sushi: my family loves Avocado, we use raw untoasted Nori... and yes that's white rice, they prefer it that way... maybe because they feel it's more authentic? 5. Prepare more COOKED PLANT-BASED options at each meal so that the family doesn’t crave other SAD (Standard American Diet) Foods. This is important and something I often forget because I am so involved in making something Raw Vegan at each meal. 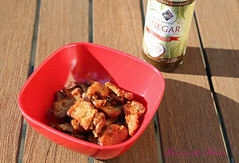 As I add more home-cooked vegan options at every meal, my family craves less for the unhealthier cooked fare. Some of their Vegan faves: Japanese Vegetable Pancakes, Buckwheat Soba Noodles, Vegetable Sushi, Steamed Sweet Potato, Steamed Artichokes, Baked Potato Chips, Peanut (or Raw Almond) Butter and Jelly Sandwiches, Pasta Alfredo, Pasta with a very simple Tomato Sauce, Chinese Dumplings, Sloppy Joes, Fajitas, Zucchini Bread… They don’t seem to like beans all that much. 6. Remind them that there are Raw Vegan Cookies and other Sweets too. 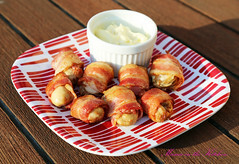 While I prefer fresh foods, I do make some treats for my family occasionally as well. 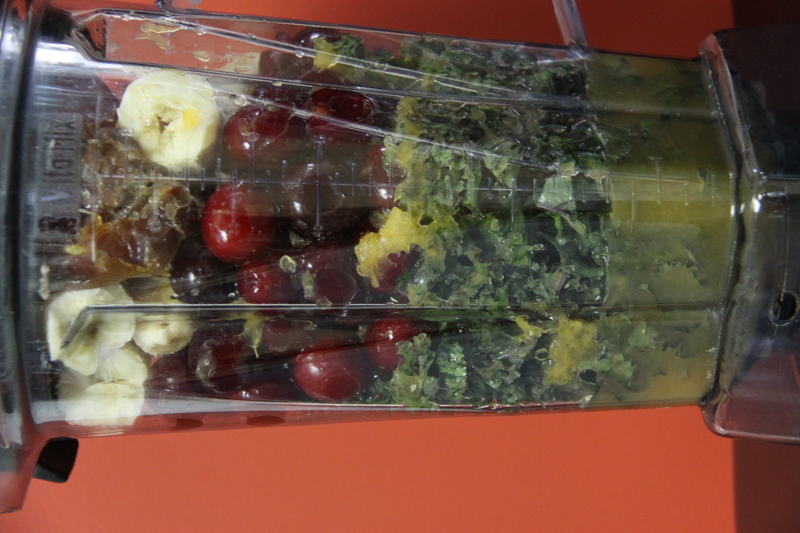 Admittedly, the easiest way to get my son to eat more greens is through green smoothies. 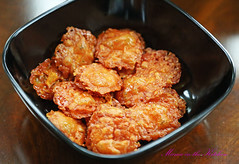 My husband and son love them with breakfast, lunch, dinner or snack. 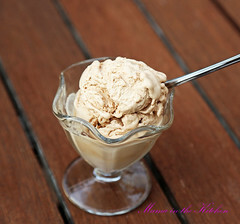 I will make a big batch to last 1 to 2 days, to make sure there’s always some available in the fridge. 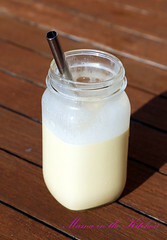 Here is our basic smoothie, which my son says, “Tastes just like honey!” although the recipe only contains fruit. We have named it our Pooh Bear Smoothie. We enjoy it several times a week. Hope you do too! We love pear, mango and berries, but any seasonal fruit will do. In the Fall: pears, persimmons, pineapples and pomegranate, Winter: citrus fruits and pears, Spring: apricots, mango, pineapples and strawberries, Summer: any berries, pitted cherries, figs and peaches. Two weeks ago, I went on a Holistic Moms Network nature walk with Matthew Kip, of the Community Gardens at University of South Carolina, to learn about Wild Edibles. 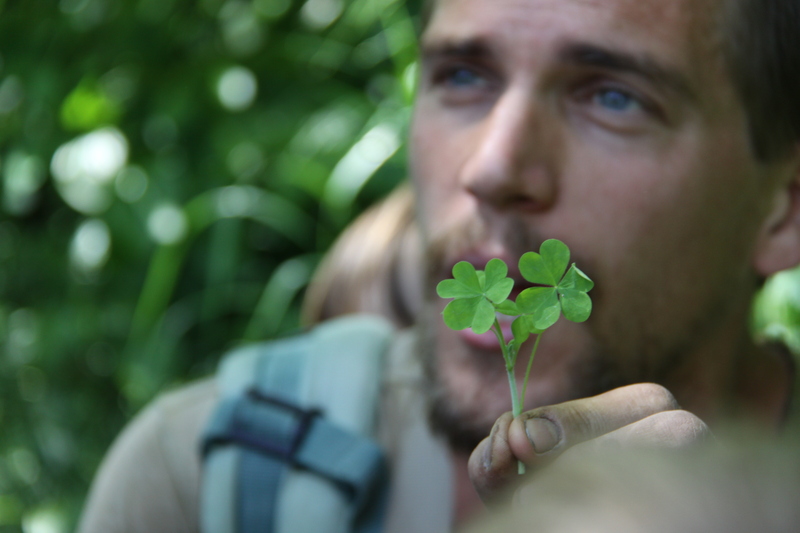 It was fascinating watching Matt point out all the edible weeds around us. I couldn’t believe there was so much food along our local river walk. An abundance of food FREE for anyone to eat! Yet, we were the only ones enjoying them. I have to admit that as I took my turn in trying a little bit of this and a little bit of that, I felt sort of like a wild animal, all at once one with nature. It was an amazing experience to watch the children especially foraging for their own wild edibles, pointing to various green weeds and asking “Mama, can I have some? Can I eat that?” and picking some more for later. I was very happy to be able to share this wild (yet most natural) experience with my son. 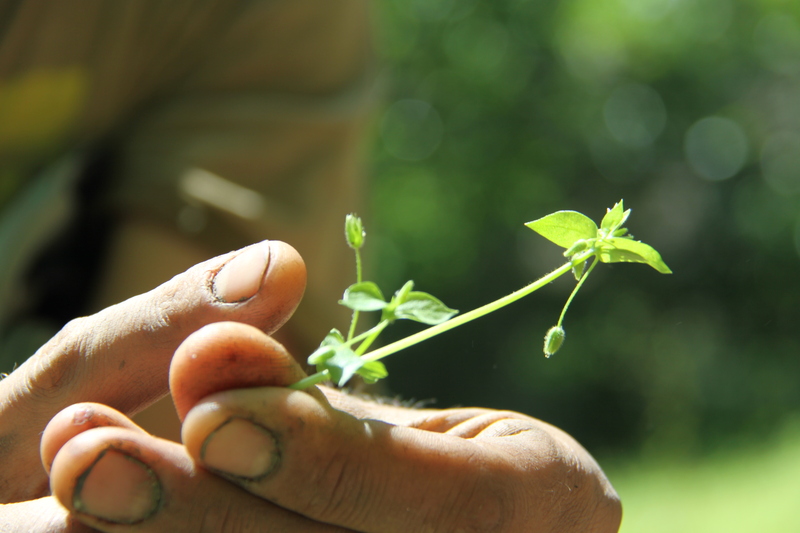 Chickweed: great as a salad green, tastes very mild. We made a green smoothie with a whole bunch when we got home. Yum. Wood Sorrel (looks like a 3 leaf clover): sour, tastes a little like lemon peel. I found some in my garden and ate it off the ground! Bullbrier: the best taste of the day! I never tasted anything like this. Absolutely delicious! Wish I grabbed a bunch before heading home. It would have made a great raw salad. Note: I also learned that wild plants have dynamic accumulators, which means they have tap roots that seep up a whole array of micro-nutrients from the soil, making them very nutritious indeed! 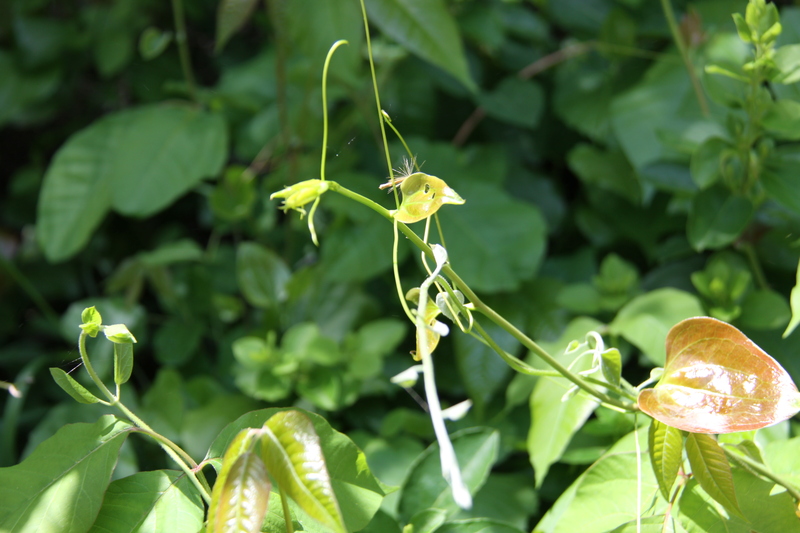 Eat The Weeds – a great web resource, he also posts youtube videos on various wild edibles: chickweed, wood sorrel and bullbrier 1 and 2. NPR’s Foraging the Weeds for Wild, Healthy Greens – I love that the Holistic Moms Network is so up to date with what is going on in other places! Thanks Toni for the link! 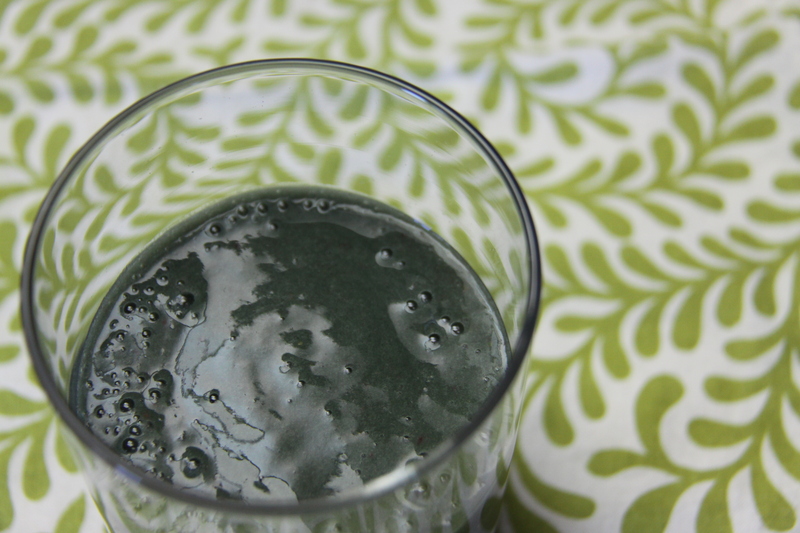 We love spirulina in smoothies. This is one of my son’s favourites. High in protein (50-70%) and vitamin B12, spirulina is also rich in essential fatty acids, vitamins A, B1, B2, B3, B6, B9, C, D and E, and many minerals such as potassium. 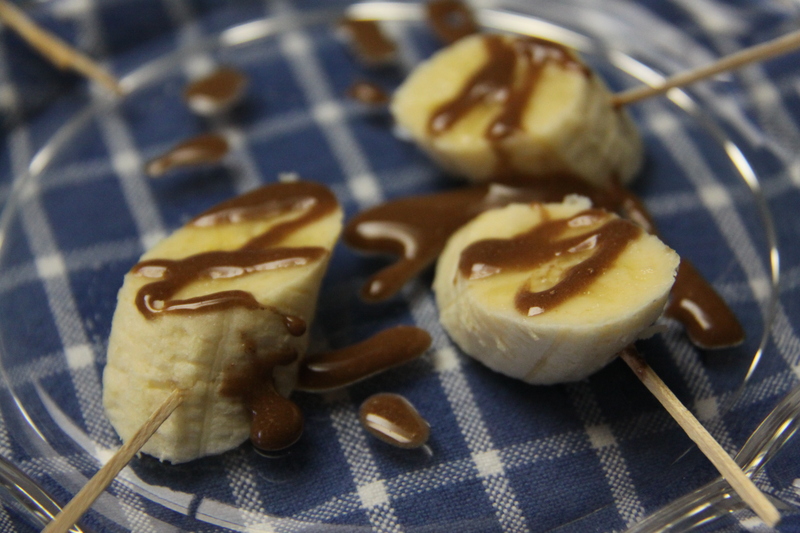 Banana Lollipops: A Treat Anytime of the Day! Slice bananas, skewer with toothpick, freeze if desired, serve topped with chocolate sauce (equal parts raw honey and raw cacao powder) and sprinkle with chopped nuts or seeds or dried shredded coconut or dried fruit. We love bananas at our house. Some days, our 4 year old can eat 4 in a row. Although we eat a varied array of fruits, some friends have cautioned that 2 bananas a day is one too many. Needless to say, I was worried about his excessive banana consumption possibly causing hyperkalemia. 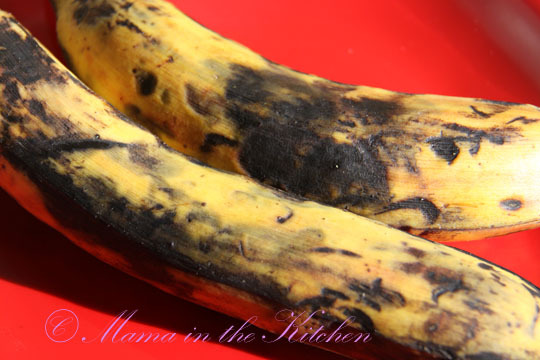 So, we continue to enjoy our bananas heartily – but as they say, too much of anything isn’t good for you. We make sure we have many other fruits available and don’t eat excessive amounts of bananas everyday! What do we do with our bananas? 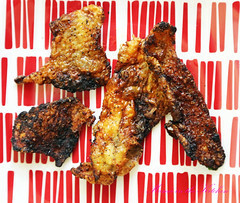 Lollipops (recipe above) – to give your kid something fun and still healthy to eat! 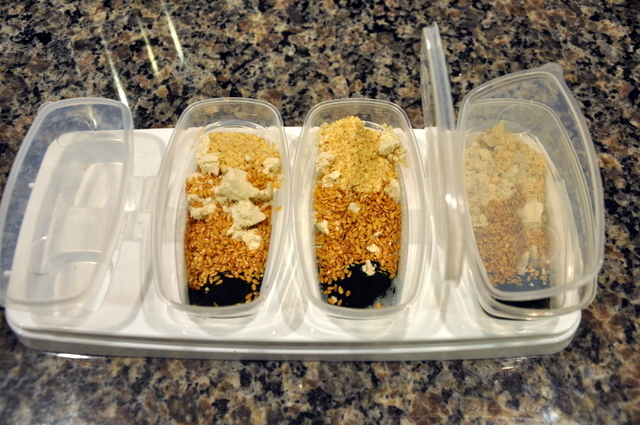 Popsicles – place smoothie mix in popsicle molds, freeze and voila! Yes, even the ones with greens work! 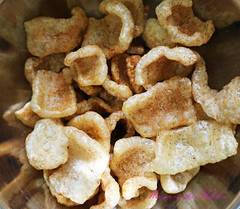 Fast Food Snacks – just peel and enjoy. We were surprised at how yummy this was. Strain for kids or the texture sensitive. My son says this tastes just like honey. 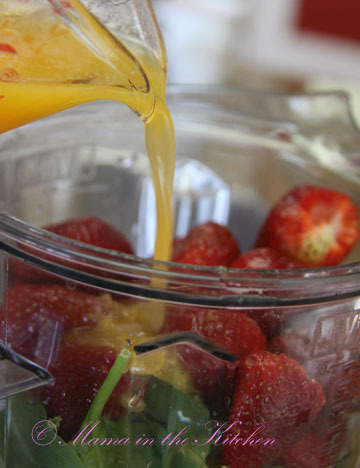 Inspire Kids To Make Their Own Smoothie!!! Here’s the video from The Raw Family! 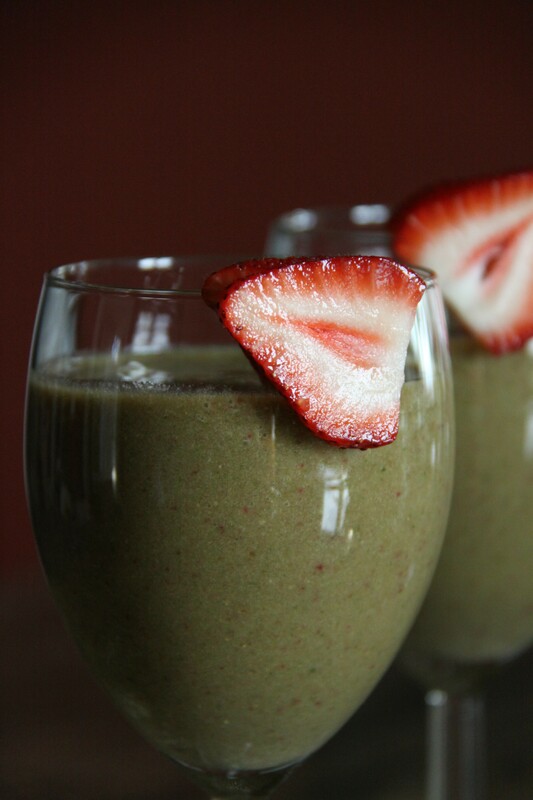 Click here for Victoria Boutenko’s 10 Green Smoothie Recipes!! 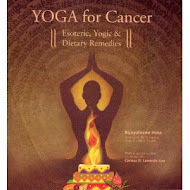 Sometimes we need a break from our raw Green Smoothies. 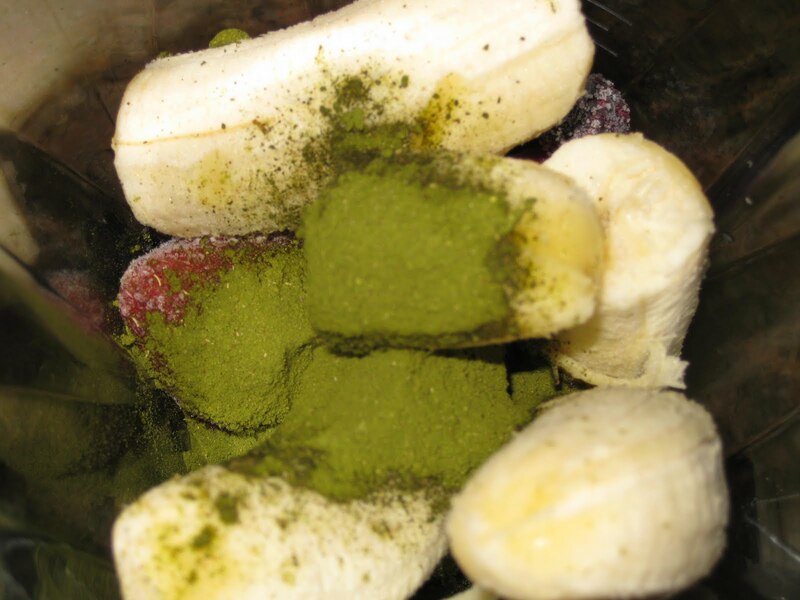 So the next best thing for us is a Fruit Smoothie with some green powder. 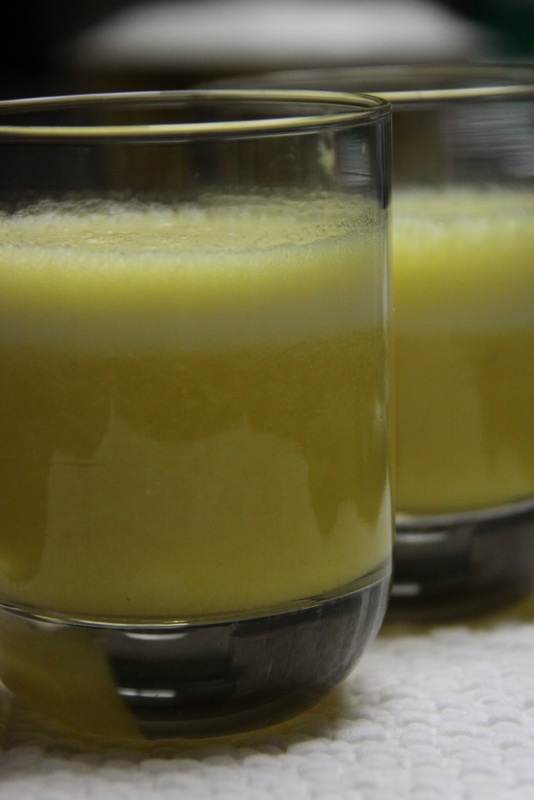 The flavor is not overpowering and the color of the smoothie does not change – so our son and my husband easily consume these fruit smoothies when they are tired of seeing pure green drinks in their glasses. We use 2 types of powders. 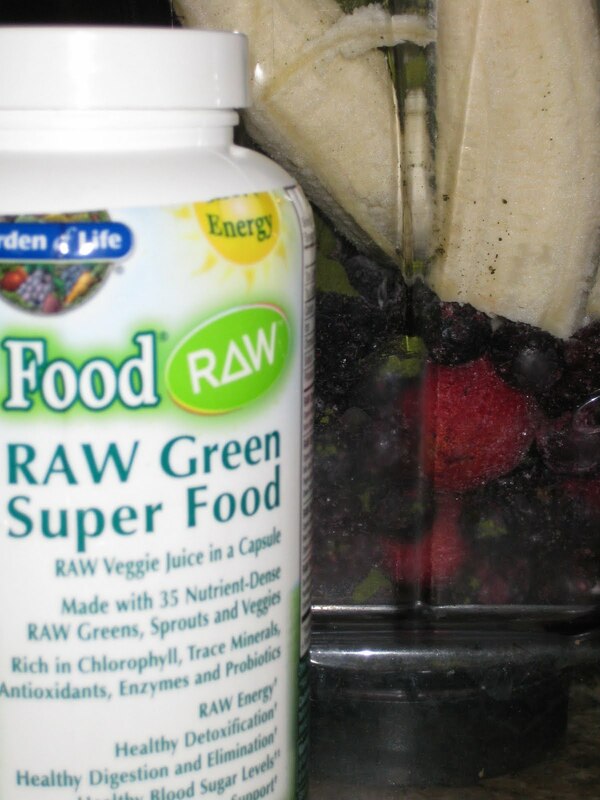 One is Products for Life Multivitamin Formulas Perfect Food™ Raw. 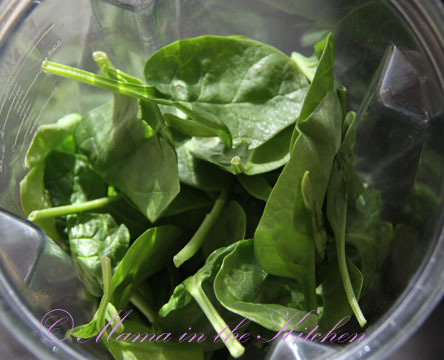 It is raw green powder from greens, sprouts, vegetables, with chlorophyll, trace minerals, antioxidants, enzymes and probiotics. The other is Barley Max, which is high in enzymes, essential amino acids, protein, vitamins A and E, folate, zinc, manganese and potassium. Note: we used to use another brand but it contained maltodextrin, which none of us agreed with. So check your labels! 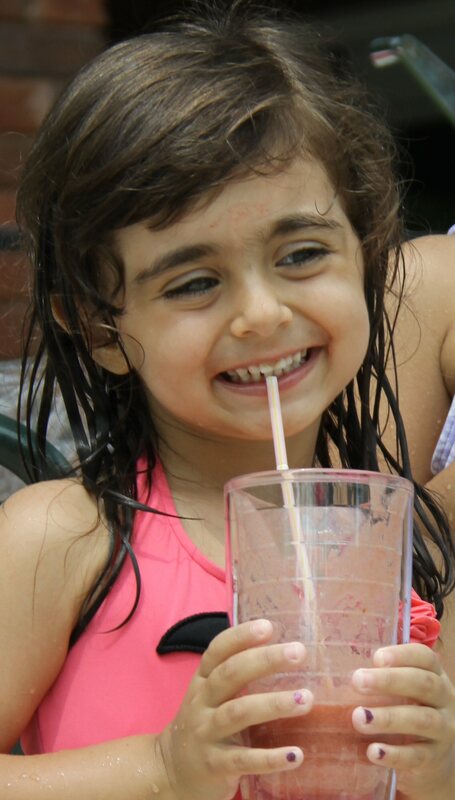 One of our favourite fruit smoothies is the old favourite Straw-Anna. Ours is raw of course. My husband and son love Acai drinks – but these are really ‘dead’. 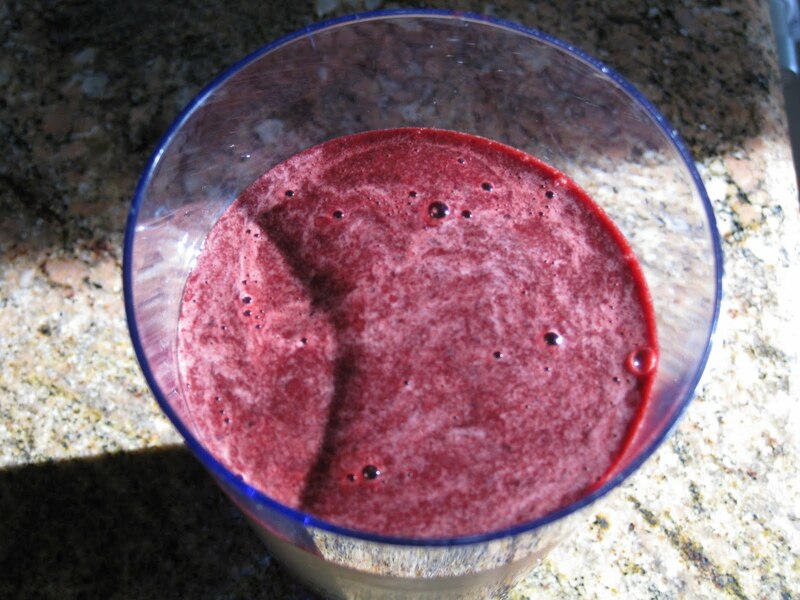 When they crave their purple juice, I try to make Cherry Smoothies and add some green powder instead. Andy Warhol used themes from popular America in his Pop Art. 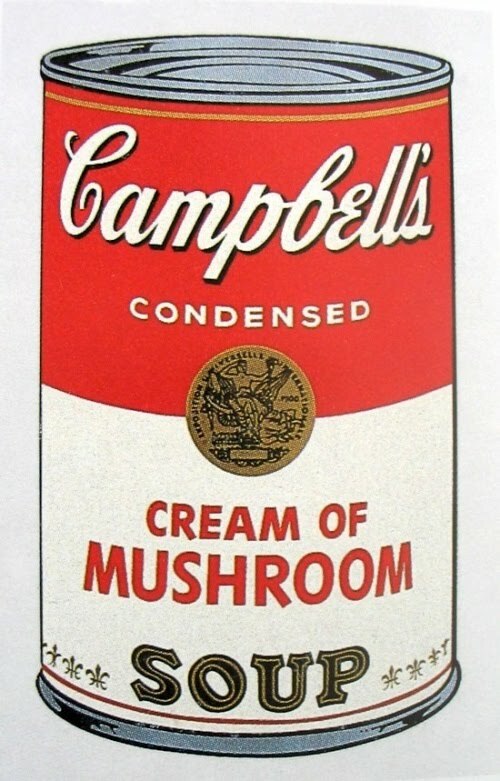 As this Cream of Mushroom Soup work of art suggests, dinner from a can is very popular! 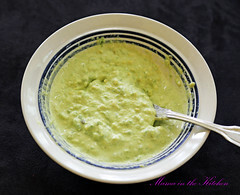 I know of family recipes that are based solely on canned soups and vegetables. And growing up, I remember enjoying Pork and Beans, Corned Beef Hash and Cream of ‘X’ Soup. Today, I make our family’s food fresh from scratch. And yes – canned food is #3 on the list – foods that are acidic and high in fat in particular, contain high levels of BPA which leach from the epoxy lining of the can.